One of our users forgot WhatsApp PIN code and he has a trouble about this situation. He asked us how can he get new two step verification PIN on WhatsApp. We are going to answer this question on this page. Question: I have trouble in two step verification code. 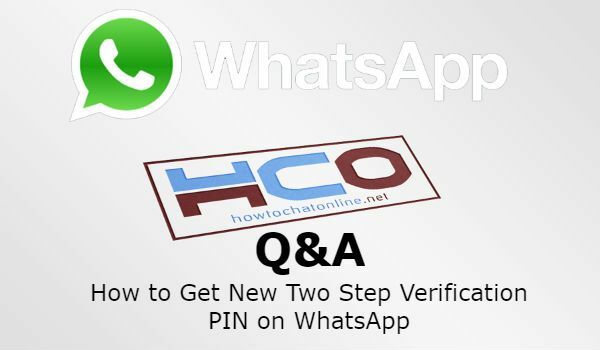 How to get new two step verification PIN? Please help. Its my personal whatsapp number i need to recover it as soon as possible my number… Edited by staff: We don’t publish phone numbers for security and privacy reason. If you have asked this question, I assume you haven’t enabled email recovery for WhatsApp PIN. If you are sure that you have enabled email for this service, you can get new two step verification code on WhatsApp. You will see the field which you need to enter the PIN. Run WhatsApp Messenger on your Samsung Galaxy j5 device. Tap on “Disable Two Step Verification Code”. You can also ask in our community forums about WhatsApp and get help about independent WhatsApp experts and other WhatsApp users. This is for security reasons. If you ever lose your phone, this pin will save your Whatsapp account. You will also manage to get a new card with same number from your GSM company. You can also cancel to the old SIM card during this process. However if you forget your PIN code, it won’t be easy for you to recover that. Actually this is impossible. Reinstalling WhatsApp, clearing cache or data, or such attempts won’t work at all.